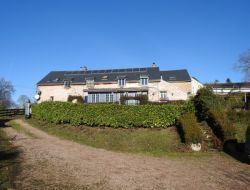 In the park of Morvan, cottage with a capacity of 4 people and a baby, located on a enclosed ground of 5000m ², with a breathtaking view on the Morvan. Garden with playground, terrace, bbq, table tennis and deckchairs. Lake Pannecière 4 km and Lake Latvians 20 km. 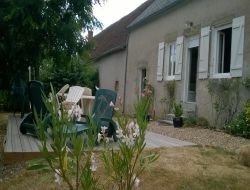 At the heart of the Nivernais, between the Loire and Morvan, 30 mn from Nevers Magny Cours, cottage *** for 3 to 7 people or bed and breakfast in a pleasant quiet of the countryside. Walking trails, horseback riding, cycling 280 km mountain bike tracks. 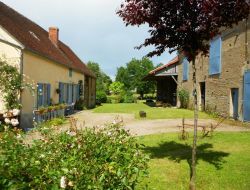 At the heart of the Morvan National Park, the highest mountain of Burgundy, the "Haut Folin", between forests & meadows, a charming cottage and quality of 70m², located in a farmhouse Morvan. At the top Nivernais, come to stay in our vast holiday cottage, in family, romantic between friends or still with your horses. 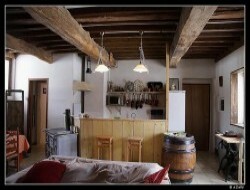 Our house of family welcomes you with all the comfort fitted out in a rustic environment. Three bedrooms with bathroom. 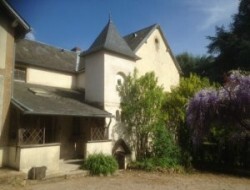 Gite for a group of 20 people in the Natural reserve of Morvan in the Nièvre (Burgundy). The Manor house consists of 5 bedrooms (in the 1st and ground floor), of a fully-equipped kitchen, a living room and of a relaxation lounge, in an exceptional environment with swimming pool, park, ponds (fishing) mini golf, animals of the farm. Discover the landscapes which inspired pilgrims, painters and famous writers. 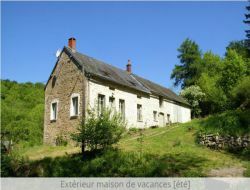 Welcome for your holidays in the Nièvre and the Morvan.... Big isolated, hillside house in border of forest near a brook. Holiday home for 12 people, ideal to unwind, in a group or in family. The atmosphere is there rustic, spirit of refuge.